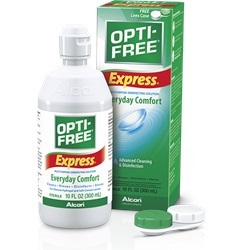 Opti-Free Express Contact Lens Solution, 10 oz. 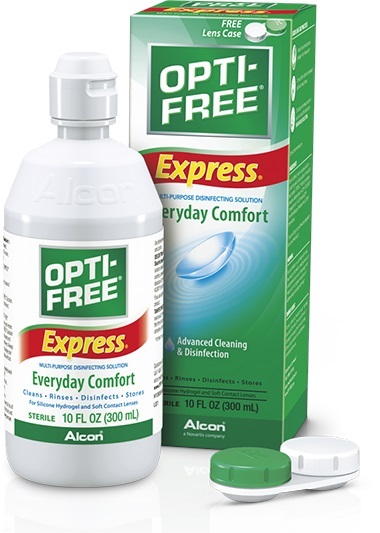 Sterile Opti-Free Express multi-purpose contact lens solution in 10 oz. bottle. Comes with free lens case. Polyquad and Aldox get rid of microorganisms that can cause eye infections. Approved for all soft contact lenses. NDC: 00065-3144-50. Manufactured by Alcon. Comes as singles.